People began living on the Korean Peninsula and the surrounding area some 700,000 years ago. The Neolithic Age began some 8,000 years ago. Relics from that period can be found in areas throughout the Korean Peninsula, mostly in coastal areas and in areas near big rivers. The Bronze Age began around 1,500 to 2,000 BC in present-day Mongolia and on the peninsula. As this civilization began to form, numerous tribes appeared in the Liaoning region of Manchuria and in northwestern Korea. These tribes were ruled by leaders, whom Dangun, the founder of the Korean people, later united to establish Gojoseon (2333 BC). The founding date is a testament to the longevity of Korea's history. This heritage is also a source of pride for Koreans and their strength to persevere in times of adversity. Town-states gradually united into tribal leagues with complex political structures which eventually grew into kingdoms. Among the various tribal leagues, Goguryeo (37 BC - AD 668), situated along the middle course of the Amnokgang River (Yalu River), was the first to mature into a kingdom. As a result of the wars of conquest initiated by Gwanggaeto the Great (r. 391-413) and King Jangsu (r. 413-491), Goguryeo was able to occupy a large swath of land that encompassed Manchuria and vast segments of the Korean Peninsula. The subsequent establishment of a political structure gave it the full trappings of an empire. Baekje (18 BC - AD 660), which grew out of a town-state located south of the Hangang River in the vicinity of present-day Seoul, was another confederated kingdom similar to Goguryeo. During the reign of King Geunchogo (r. 346-375), Baekje developed into a centralized state. Silla (57 B.C.-A.D. 935) was located in the southeast corner of the peninsula and was initially the weakest and most underdeveloped of the three kingdoms. However, because it was geographically removed from Chinese influence, it was more open to non-Chinese practices and ideas. Its society was built on an advanced Buddhist order that was markedly class-oriented, including a military that featured a unique corps of young aristocratic warriors called Hwarang. By the mid-6th century, the Silla Kingdom had brought under its control all of the neighboring town-states within the Gaya Confederation. Forging an alliance with the Tang Dynasty of China, Silla was able to subjugate Baekje in 660 and Goguryeo in 668. The unification of the Korean Peninsula was further consolidated when Silla repelled expeditionary forces from Tang in 676. Silla reached its zenith in terms of power and prosperity during the mid-8th century. It attempted to establish an ideal Buddhist country. It was during the Unified Silla period that the magnificent Bulguksa Temple was constructed. In 698, refugees from Goguryeo established the Kingdom of Balhae in south-central Manchuria. This new state included not only refugees from Goguryeo but also a large Mohe population. Balhae established a government system which was modeled after the Goguryeo Kingdom's administrative structure. Moreover, its advanced culture was also rooted in that of Goguryeo. Balhae's prosperity reached its height in the first half of the 9th century with the occupation of a vast territory reaching the Amur River in the north and Kaiyuan in south-central Manchuria to the west. It also established diplomatic ties with Turkey and Japan. Balhae existed until 926, when it was overthrown by the Khitan. Many of the Balhae nobility, who were mostly Goguryeo descendants, moved south and joined the newly founded Goryeo Dynasty. The Goryeo Dynasty (918-1392) was founded by Wang Geon, a general who had served under Gungye, a rebel prince of the Silla Kingdom. Choosing his native town of Songak (present-day Gaeseong in North Korea) as the capital, Wang Geon proclaimed the goal of recovering the lost territory of the Goguryeo Kingdom in northeast China. Wang Geon named his dynasty Goryeo, from which the English name "Korea" is derived. Although the Goryeo Dynasty could not reclaim lost lands, it had a sophisticated culture represented by cheongja, or blue-green celadon, and flourishing Buddhist traditions. 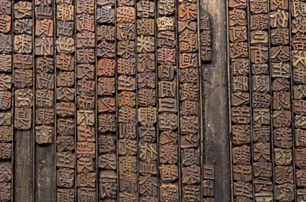 No less significant was the invention of the world's first movable metal type in 1234, which preceded the Gutenberg Bible of Germany by two centuries. About that time, skilled Korean artisans also completed the herculean task of carving the entire Buddhist canon on large woodblocks. These woodblocks, numbering more than 80,000, were intended to invoke the power of Buddha for the repulsion of Mongol invaders. Internationally called the Tripitaka Koreana, they are now stored at the historic Haeinsa Temple. In 1392, General Yi Seong-gye overthrew Goryeo and established a new dynasty called Joseon. The early rulers of Joseon, in order to counter the dominant Buddhist influence during the Goryeo period, adopted Confucianism as the guiding ideology of the new dynasty. The Joseon rulers governed the dynasty with a well-balanced political system. A civil service examination system was the main channel for recruiting government officials. The examinations served as the backbone for limited social mobility and intellectual activity during the period. The Confucian-oriented society, however, highly valued academic learning while disdaining commerce and manufacturing. During the reign of King Sejong the Great (r. 1418-1450), Joseon's fourth monarch, Korea enjoyed an unprecedented flowering of culture and art. Under King Sejong's guidance, scholars at the royal academy created the Korean alphabet Hangeul. It was then called Hunminjeongeum, or "proper phonetic system to educate the people." King Sejong's interest in astronomical science was comprehensive. Sundials, water clocks, celestial globes and astronomical maps were produced at his request. As part of efforts to streamline the ruling structure of Joseon, King Sejo (r. 1455-1468) put in place a legal system, and initiated the compilation of the Gyeongguk Daejeon (National Code). The ruling structure of the Joseon Dynasty was officially established with the subsequent completion of the Gyeongguk Daejeon during the reign of King Seongjong (r. 1469-1494). In the early 17th century, a movement advocating Silhak (practical learning) gained considerable momentum among liberal-minded scholar-officials as a means of building a modern nation. They strongly recommended agricultural and industrial improvements along with sweeping reforms in land distribution. The conservative court, however, was not ready to accommodate such drastic changes.In the latter half of the Joseon era, government administration and the upper classes came to be marked by recurring factionalism. To rectify the undesirable political situation, King Yeongjo (r. 1724-1776) eventually adopted a policy of impartiality in government appointments. He was thus able to strengthen the royal authority and achieve political stability. King Jeongjo (r. 1776-1800) maintained the policy of impartiality and set up a royal library (Gyujanggak) to preserve royal documents and records. He also initiated other political and cultural reforms. This period witnessed the blossoming of Silhak. A number of outstanding scholars wrote progressive works recommending agricultural and industrial reforms, but few of their ideas were adopted by the government. In the 19th century, Korea remained a "Hermit Kingdom," adamantly opposed to Western demands for diplomatic and trade relations. Over time, a few Asian and European countries with imperialistic ambitions competed with each other for influence over the Korean Peninsula. Japan, after winning wars against China and Russia, forcibly annexed Korea and instituted colonial rule in 1910. The colonization process stimulated the patriotism of Koreans. Korean intellectuals were infuriated by Japan's cultural assimilation policy, which even banned Korean-language education in schools. On March 1, 1919, a peaceful demonstration demanding independence spread nationwide. The Japanese authorities ruthlessly repressed the demonstrators and their supporters, and massacred thousands. Although it failed, the March 1 Independence Movement created strong bonds of national identity and patriotism among Koreans. The movement led to the establishment of a Provisional Government in Shanghai, China, as well as an organized armed struggle against the Japanese colonists in Manchuria. The Independence Movement is commemorated in Korea every March 1. During the colonial period, Japan's economic exploitation of Korea continued. The lives of Koreans deteriorated under colonial rule until the end of World War II in 1945. Kim Gu, President of the Provisional Government of Korea in Shanghai (left). High-ranking officials from Korea's Provisional Government in Shanghai pose for a commemorative photo in 1945 (right). Koreans rejoiced at Japan's World War II defeat. However, their joy was short-lived. Liberation did not instantly bring about the independence for which the Koreans had fought so fiercely. Rather, it resulted in a country divided by ideological differences caused by the emerging Cold War. Korean efforts to establish an independent government were frustrated as U.S. forces occupied the southern half of the peninsula and Soviet troops took control of the north. In November 1947, the United Nations General Assembly adopted a resolution that called for general elections in Korea under the supervision of a UN Commission. However, the Soviet Union refused to comply with the resolution and denied the UN Commission's access to the northern half of Korea. The UN General Assembly then adopted another resolution calling for elections in areas accessible to its commission. The first elections in Korea were carried out on May 10, 1948, in the areas south of the 38th parallel. This artificial line came to divide the Korean Peninsula into South and North. Syngman Rhee, a U.S.- educated intellectual and former independence fighter, was elected the first President of the Republic of Korea in 1948. 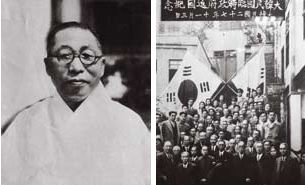 Rhee's foresight was instrumental in establishing a separate government in South Korea, laying the groundwork for a democracy and a market economy. Meanwhile, a communist regime was set up north of the 38th parallel under the leadership of Kim Il-sung with Soviet support. On June 25, 1950, North Korea launched an unprovoked full-scale invasion of the South, triggering a three-year war which drew in U.S., Chinese, and other foreign forces. The entire peninsula was devastated by the conflict. A ceasefire was signed in July 1953. Despite his historic contribution, Rhee was ousted from power in 1960 by student demonstrations protesting his protracted rule and election frauds. Korea's growth-oriented, export-led economic development since the 1960s under the leadership of Park Chung-hee, the general-turned-president, development of Korea was so remarkable that it earned the name "the Miracle on the Hangang River." Following 18 years of authoritarian rule, however, Park was assassinated in 1979. Subsequently, South Korea was ruled by Chun Doo-hwan, another general-turned-president until direct presidential elections were restored in 1987, which saw the election of another former general, Roh Tae-woo. Seoul hosted the Olympics in 1988 and Korea co-hosted the 2002 FIFA World Cup soccer games with Japan. Through expanding international trade and exchange, Korea has demonstrated to the world its rich cultural heritage as well as modern technology. In the 1950s, Korea ranked among the poorest countries. Today, its economy is the 13th to 14th largest in the world, and the nation is poised to become an active player on the global economic stage following the hosting of the G20 Summit in 2010. Ms. Park Geun-hye became the country’s first woman to be elected President in the election held in December 2012. President Moon Jae-in was voted in as the 19th president of the Republic of Korea in the election held on May 9, 2017. Over the past 69 years (1948-2017), the country has transformed itself from one of the most impoverished nations in the world into an economic powerhouse and an exemplar of liberal democracy. This process can be viewed as a unique example in world history. The Republic of Korea has steadily followed the path to mature democracy and economic prosperity. Even though the legacies of the Cold War still linger on this peninsula and global economic crises have affected it, South Korea has been demonstrating remarkable resilience in coping with these challenges and looks forward to an even brighter future.